Dhaka is probably one of the least known capitals in Asia due to negligible cultural export in the recent times. A city with 15 million lives one would have expected a thriving music scene but to our dismay it has not been the case. Dhaka shares the same rich cultural roots of that of Kolkata yet is more conservative socially being Islam the dominant religion and has its degree of political unrest which greatly reduced participation in arts & culture for young people to venture beyond borders. The contemporary Bangladeshi music scene is a shadow of its past. The rise of mass culture has endangered its traditional and ethnic varieties as well as hindered diversity in contemporary sounds. In recent times Dhaka’s underground band scene is something to reckon with. This wave of musicians has managed to survive the hostile environment to anything non-Bengali origin throughout 80s and 90s till today. Though cultural diffusion is at a higher rate than ever, it won’t be hard for anyone to notice that these new cultural phenomenon are ignored completely by a large segment of the society. The 90s were full of surprises and Dhaka’s youth was dominated by heavy metal. 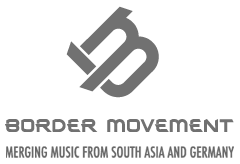 It became the new urban musical identity reaching its zenith in around 2002-2003 with bands like Artcell, Cryptic Fate, Black and Bangla (the first fusion-folk rock band in Bangladesh) releasing their debut albums followed suit by folk-electronic sounds of Habib. The revival of folk in the urban space allowed newer expressions of age-old culture gaining momentous popularity. The hype that was created energized the music industry, but that energy could not multiply enough to keep up until this decade. In Dhaka, music as a career is a luxury hence most talents are simply lost. In the public sphere western styled entertainment is discouraged very protectively. There are no nightclubs. There have been many individual attempts to locally gather momentum for parties in BYOB lounges, cafes and few restricted pubs/bars without much success. The concept of parties that happened here were duplication of themes rather than developing it organically. The earliest venues one can remember for good parties during the 90s were The Buzz and The Atlantis, both of which got red-taped in bureaucratic tangles. The new millennia saw a rapid commercialization of electronic music scene which only affluent people could afford at newly built hotel venues like that of Radisson, Westin and Regency. Organizers are happy to throw ridiculously expensive parties at hotels with the help of corporate sponsors. An industry gradually developed to sustain the commercial party circuit in Dhaka resulting into a sub-standard scene. DJ schools mushroomed under commercially popular DJs banking on generic Dirty Dutch, House and overwhelmingly Bollywood sounds imported from India. There are a few successful organizers at the higher-end of the circuit like Auram whose powerful backings helped them get the upscale market but it gradually resulted into two artificial separate scenes, based rather on affluence than tastes. They hiring of foreign talents is interestingly a random process. Without local promoters and organizers electronic music here has never got the chance to grow naturally due to these extreme environments that exists until now. The legal procedures can get dodgy at times. The current business model for the party scene does not seem to entertain music enthusiasts. Affordability is the key to sustainability. In the post-internet era, young people took the opportunity of uncontrolled media and had direct access to whatever they liked and desired adopting and acquiring new tastes. This resulted into the transition of young minds to look outside the box and the border. Though art from Dhaka has managed considerable attention in recent times, music never got the essential kick start, electronic music being at its lowest spectrum. The lucky few who makes it through the adversaries then faces the inefficient music market that exists. The music labels are business oriented, and its standard operation serves only those who can pay or are very popular. There is a huge lack of transparency and copyright laws are like myths. Recently, there have been great improvements in recording facilities but even now the facilities are not accessible to all. Electronic music as an art and passion is limited to a very small minority who really can’t do much because of financial restrictions. Last few years there have been an upsurge of collectives of producers and DJs but it was also modeled on the commercial aspects of dance music in this country and hence it never got the attention. The only segment of enthusiastic producers and DJs who deserves a mention is ‘Dhaka Electronica Scene’, which is a complete DIY approach to produce new sounds and experiences and perhaps are the seeds of a new cross-boundary culture which I hope would sustain. There are few more who also have not given up on the possibilities. Many indie artists are now exploring modern internet mediums for distribution instead of going to a label. More and more talented young people are now trying to do their things in their own way and make a difference in the process. The indie artists are booming again and perhaps this time they would find a more manageable way to keep on making music with the promising aid of new internet economy. Dhaka is a city in transition, with everything in a flux, from social values to taste of music to new ways of economic discourses. Outsiders can easily observe these vital changes occurring silently in the midst of millions of people; culturally isolated for so long Dhaka-ites have a huge scope to turn things around for good and for final time. Electronic music enthusiasts are thinly spread all over the city and some thought driven action can generate vitality into the scene and connect it to the contemporary electronic music map.